One of the most exciting things about parenting young children is seeing how fast they grow and develop. I think we’ve all been amazed at how quickly our kids go through phases - one minute they are afraid to leave our sight, and what feels like the next they are off confidently exploring on their own. As exciting and awe-inspiring as these changes can be, they can sometimes catch us off guard, wondering who replaced our cooperative baby with a highly opinionated toddler! Sometimes it can help to consult outside sources to find new ideas for working through the challenges that can come along with parenting our little ones in the early years. Below is a list of some of my favorite parenting books, along with recommendations shared by our Little Wonders teachers. If you’re shopping on Amazon, help support Little Wonders by using the links below. Parenting from the Inside Out by Daniel J. Siegel, M.D. and Mary Hartzell, M.Ed. This is a great guide for reflecting on our life experiences and how they can affect the ways we parent our children. It offers scientific information in an accessible way and helps the reader break out of patterns of thought that can be limiting and instead move towards a fuller understanding of our own relationships so that we can create meaningful and healthy ones with our children. This book lays out a clear approach to discipline that’s rooted in collaboration and seeking to understand the roots of your child’s (mis)behavior. I like the focus on working together and empowering children to make choices themselves. 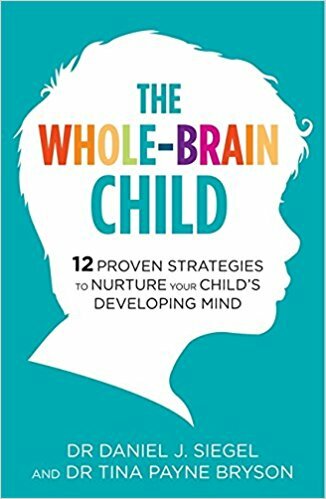 The Whole Brain Child offers practical, science-based strategies aimed at promoting healthy brain development in children. I particularly liked that they include a handy chart with specific ways to implement the strategies for kids of different ages. Parenting educator Janet Lansbury offers great ideas for responding to some of the common day to day challenges of toddler life. I like her commitment to respecting children’s autonomy and seeing them as whole people. The book is a compilation of responses she has written to questions by real parents, many of which are also available on her blog. I ALWAYS buy Becoming the Parent You Want to Be by Laura Davis and Janis Keyser for all my nieces and friends having babies. It is a wonderful source book to keep and refer to when questions arise. 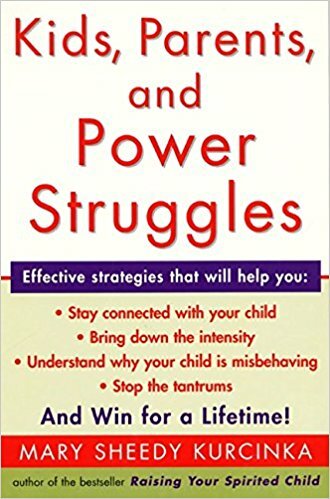 KIDS, Parents and Power Struggles by Mary Sheedy Kurchinka was the book that has had the greatest impact on me as a parent and educator. A must read for all parents! Parenting from the Inside Out by Daniel Siegel and Mary Hartzell has helped me understand how to create the necessary foundations for loving and secure relationships with our children and what is important to share with other parents. The book I gave every one of my friends who had their first child was Becoming the Parent You Want to Be by Laura Davis and Janis Keyser. This book covers lots of topics ages 0-5 and can be picked up as a reference vs. reading cover to cover. Concerned about a child hitting another child, it is there. Worried about potty mouth in your 4 year old? It is here! I also think every parent of a 3 year old should read Kids, Parents and Power Struggles by Mary Sheedy Kurchinka. This books looks at the daily challenges of disciplining and soliciting cooperation from your child while understanding the issues behind his/her behavior. She gives so many great strategies to try for each individual/parent relationship. I love Alyson Schafer’s books for their humor and great ideas: Honey, I Wrecked the Kids; Ain't Misbehaving: Tactics for Tantrums, Meltdowns, Bedtime Blues and Other Perfectly Normal Kid Behaviors; and Breaking the Good Mom Myth: Every Modern Mom's Guide to Getting Past Perfection, Regaining Sanity and Raising Great Kids. Parents are continually striving for cooperation and harmony with their children. This book offers a productive communication approach for parents. We can always fine tune our communication. The title says it all.=) This book offers practical tools to foster emotional connection, so you don't need to threaten, bribe, nag etc. I hope something here can be helpful to you in your parenting journey. Do you have another favorite parenting book that didn’t make this list? Please share in the comments!